For managers responsible for web-site updates, one part of business website renovation keeps them awake at night: the transfer of legacy content from an existing site (or sites) to a newly developed site. Migrating content to a Content Management System (CMS) is a very important part of managing a business’ web presence. It is a difficult, time consuming, meticulous process and requires organizations to allocate significant resources, and train management teams in transfer issues. Content accumulated over many years creates a maze of structured and unstructured data that can make the migration process potentially disruptive to ongoing operations. The objective of the process is high-performance web migration, which requires first that the parties have a clear vision of what must be accomplished through the migration, and that they then plan the steps necessary to implement the vision. Careful Assessment and planning is essential for the migration process to succeed, be effective and control costs. It also enables you to understand the complexity of your migration project. Before moving forward with any plan, it’s important to know where you are and where you want to go. Part of planning is ensuring that the right content-migration questions are asked and answered. Both the site owner’s team and the outside technical team should participate in answering the questions and understand each other and the conclusions reached. Status: What am I going to do with this content? Does it stay as it is? Can it be discarded? Or, does it need modification? Enhance: Does the content's metadata require enhancement for the new environment? New Location: Where is each content element going? What is its destination within the new site? What are the major differences and similarities between the original site and the new site? Content Editing: How will content editing occur, and who will assume responsibility for ensuring that it is complete and acceptable? (Separately, how will any required HTML editing occur?) What editing will occur before transfer? What, if any, editing will best occur after transfer? Move / Transform: How will content be moved / transformed? What are the mechanical steps in the process? Quality Assurance: Who will confirm that the migration process occurred successfully and verify its completion? Regardless of the quality of any content migration automation, someone has to QA the site’s critical pages to ensure accuracy and full functionality, catch unintended outcomes and stray code, and look for missing items. The QA process’ central purpose is to ensure that the technical migration is successful. This review focuses on HTML and CSS issues and requires technical web knowledge to catch issues and remedy them (outside technical team managing the transfer handles this). This stage also includes editing of the new pages to match expectations and fulfill messaging requirements (site owner’s team handles this). Both Quality Assurance review can only be done on the new system after the migration process is complete. Even for middle-size web properties, managing legacy content migration is not a simple task; for very large web sites it is difficult to accomplish, especially when timeframes are short and budgets are tight. A primary part of properly and effectively transferring content from the old site to a new site is carefully inventorying and mapping existing content. Start with a discovery process identifying and inventorying all content, which typically requires a content-audit spreadsheet, to gain an understanding of quantity, structure and quality of existing content. Determining exactly what you have is the starting point, as it is with any complex process. Static content like web pages, articles, media elements (pictures, video, podcasts). 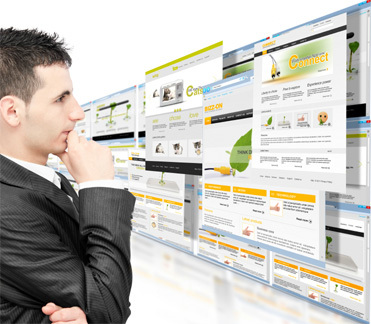 E-commerce-related content such as product catalogs, customer accounts, order histories, ratings, reviews, etc. Metadata. Transferring or recreating Metadata is one of most important parts of the content-transfer process. An inventory includes a detailed, accurate analysis of published and unpublished content, and identification of inconsistencies, errors, broken links, poor structure, and non-compliant or old HTML. It also includes careful consideration of what existing content can be left behind (deleted), what should be separated and archived, and what essential nuggets must be retained. Discerning what’s really worth keeping from content that is just dead weight is time well spent. Just because content can be migrated doesn’t mean it should be. There’s a lot to be said for seizing the “migration moment” and recognizing that it’s an opportunity to ensure that the new site’s content supports key objectives and serves customer needs, with clarity and economy. This audit of existing content enables those involved to define and establish meaningful rules governing what content stays, what is modified, what is left behind or archived, and the migration process generally. Well-crafted rules enable the migration process to be streamlined and minimize the effort required. These rules make the process much more efficient by requiring fewer point-by-point decisions by various participants (which risks inconsistencies). Map existing content into the new site’s information architecture. Identify changes to the content, and metadata, required to meet the quality and other requirements of the target (new) system. Automatically retrieve content, restructure it, and export it into the new web environment. For the entire process to be feasible, some automation is necessary to keep process costs down and shorten timelines substantially. Inventorying and mapping content are essential to any automation of the process; the content being transferred must be properly identified and logically organized for any automation to succeed. Ideally, with a solid content inventory and audit completed, and established rules to govern the transfer process, decisions can be intelligently made about which parts of the transfer process to automate. It’s wise to automate each step to the extent it can be done feasibly without compromising data or content integrity or quality. While editing can’t be automated, the other steps in the content migration process can be to varying degrees. Unfortunately, the nature of the transfer process is such that complete automation isn’t possible. Many transfer details must be managed manually to ensure that no content or data is lost, misplaced, overlooked, or otherwise falls through the cracks. Obviously some content / site migrations are fairly simple and require little sorting or analysis (usually in situations where all content is being moved), but others call for detailed, hands-on supervision of the sorting process. Placement isn’t an issue for migrations between similarly structured sites, but if the new system isn’t structured just like the original site then placement issues require special focus. The decision on whether, and what parts of the process, to automate depends on several factors, including site size, complexity, content type, accuracy of data, and age. Decisions on what parts can be automated effectively and which must be migrated manually are worthy of close attention during the planning phase. Carefully considering the items that cannot be automated will save the non-technical team a lot of post-migration headache. If a technical team comes in with great automated migration tools, but uses them inappropriately, or makes assumptions, to ram mass content transfer to the new site, it’s very likely that the process will be encumbered with errors. The customer’s team is then left with a big clean up job after transfer than it would have to do some things manually in the first place. With careful planning, a thorough content inventory, solid communication among all teams and participants, and appropriate levels of automation your content-migration process is far more likely to unfold smoothly, on schedule, and on budget.